Retiring abroad is on the minds of many a potential expat. With the world becoming a smaller place, and with upgrades in travel and communication everyday, retiring abroad is easier than ever before. It is however a huge step - one that requires careful planning and research. 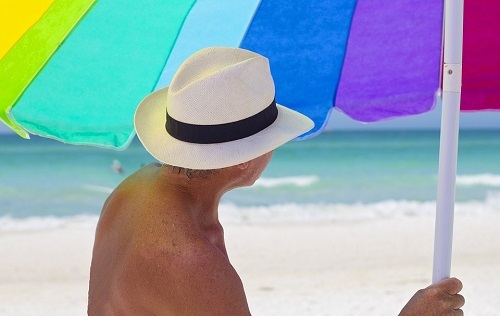 There are a few factors that every retiring expat should consider, like their chosen country's climate, infrastructure, healthcare, and lifestyle. The Caribbean is one of the most sought-after destinations for retiring expats. So let's take a look at a few of these factors for those thinking of moving to Trinidad and Tobago. The twin island country of Trinidad and Tobago is a part of the Caribbean region. Since it lies on the South American continental shelf, the nation is geographically a part of South America. The country is just eleven kilometers to the north of the Venezuelan coast. Grenada lies 130 kms to the north-west of the country. Apart from Venezuela and Grenada, Trinidad and Tobago's maritime neighbors include Barbados in the north-east and Guyana in the south-east. This small island country forms the northern edge of the Caribbean. The country is named after the its main islands of Trinidad and Tobago, but it also consists of smaller islands like Monos, Chacachacare, Gasparee, St. Giles Island and Little Tobago, to name a few. The total area is around 5,128 km, which puts the Republic of Trinidad and Tobago at rank 175 on the list of countries by size. The island of Trinidad, with a vast area of 4,768 km, makes up the majority of the total landmass of the country - approximately 93%. Tobago makes up less than 6% of the country's total landmass. The landscape is split between jarring mountains and vast plains. The highest peak is El Cerro Del Aripo at 940 metres above sea level. The waters of this island country are home to the largest brain coral in the whole world. The Pitch Lake on La Breach is the biggest natural deposit of Asphalt globally. Port of Spain, the capital of the country, is also the largest city. The population of the capital is approximately 170,000. Other major cities include Chaguanas, San Fernando, and Scarborough. Being a tropical country, Trinidad and Tobago witnesses two seasons every year. The first season is the dry season, which lasts from January to May. From June to December the region is inundated with rains. The plains in the south face the sweltering heat of the Tropics. On the other hand, the mountains in the Northern Range are usually covered in mist and experience milder temperatures due to the rains. Quaint waterfalls throng the Northern Range that adorns the Trinidad island. These mountains are extensions of the Andes Mountain ranges from Venezuela. Although in close proximity to hurricane-prone areas, the country itself lies out of the danger zone and is thus safe from hurricanes. However, stormy weather is expected; and weather forecasts monitor situations to give citizens a good chance of preparing for heavy weather. Despite being a part of the Caribbean group of islands, the biodiversity of the country is more similar to that of its immediate neighbour Venezuela than the other Caribbean nations. The Republic of Trinidad and Tobago is a developed country - currently with the third-highest GDP per capita in North and South America. The World Bank recognizes its economy as a high-income one, ranked just after the United States and Canada. The strong foundation of the economy rests on the petrochemical industry. The vast reserves of natural gas and oil have propelled the country's economy and made it a lucrative option for expats. However, expats moving to the country need to be prepared for the vast change of pace from other advanced economies. The islands of Trinidad and Tobago are multicultural and several languages are spoken there. English is the official language, although two of the main spoken languages are English Creoles. This reflects the country's past interactions with the various colonies of the British, French and Portuguese. The earliest settlers on the islands were Amerindian, but since the turn of the 20th century the islands have seen a surge in the number of South Asians and Africans. 37.6% of the population is made up of the Indo-Trinidadian and Tobagonians ethnic group. Their ancestors were brought from India as workers for the sugar plantations. A few residents of this community have upheld traditions from their homeland, giving the island an Indian twist. 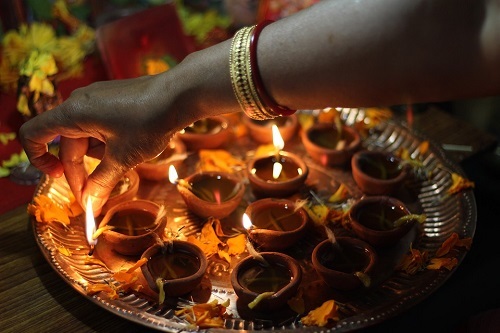 The country hosts the biggest celebration of Diwali - the Hindu festival of lights - in the Western Hemisphere. The second largest ethnic group is the Afro-Trinidadians and Tobagonians, with approximately 36.3% being people of African descent. Brought as slaves in the 16th century, the 20th century marked their liberation and settlement as Islanders. Expats moving here must take into account the high crime rate in the islands. While not particularly dangerous, the country is plagued with drug cartels. Expats must choose their neighborhoods after careful and thorough research. Most Trinidadian homes have wrought iron bars across the windows to prevent break-ins. It is advised that expats have security systems installed, just as an added precaution. There are a few known regions of high criminal activity. These include the regions of Laventile, Sea Lots, Morvant, and South Belmont from the city of Port of Spain. If you're travelling alone at night, be sure to avoid these places as robbers have been known to take advantage of a lost tourist. While moving to a different country is always a little challenging and nerve-wrecking, retiring in a foreign land requires even more planning. With a country like Trinidad and Tobago, one must know what they're getting into before it is too late. It's always a good decision to look up the lifestyle, transport facilities and other amenities before moving to a new location. If the quiet, peaceful retirement life is what you're after, the Republic of Trinidad and Tobago is perfect for you. The quality of life and the socio-economic structure in Trinidad and Tobago is outstanding. Granted you have the proper residency visas, life in this country is free of hassles and worries. Retirees applying for long term residency without a work permit need to show proof of income or assets. This is to emphasize that they don't expect benefits from the government. The government does not provide pensions to expats unless they have contributed significantly to the social system in Trinidad. However, you are eligible to receive pensions from your home country. Check with the pensions department in your area to make sure you will be able to receive your pension in Trinidad & Tobago without any hassle. A lot of countries send international cheques to nationals living abroad. However, if this provision is not made, you can get it wired into a bank account in your home country and then transfer the money. You can make similar arrangements for private pensions and other benefits. Healthcare in Trinidad and Tobago is well-developed, although not among the best in the world. The ministry of health is making significant efforts to promote healthcare and recruit doctors from overseas to improve the quality of services that are available here. Expats moving to Trinidad and Tobago must make sure they have a healthcare plan that covers at least major illnesses and accidental damages. Ideal plans should include an option for air transport to a well-provisioned hospital in Trinidad, or in one's home country if that is feasible. The Port of Spain City Hospital, located in the capital of the country, is one of the most important trauma centres in the Caribbean. The islanders are known to be very laid back. So if you're from a busier part of the globe, the lifestyle can seem frustrating at first. Hired help is not only hard to find, but getting things done on time takes a lot of effort. This is just because there isn't a sense of urgency dictating life in the islands. However, the slower pace of life leaves you more time to bask in the pleasant tropical sun. That is ideal for people looking forward to a relaxed retirement. The many water sporting clubs that have sprung up in the islands provide a medium of fitness for expats. The high economic standard has also led to an advanced lifestyle in the country. Housing in Trinidad and Tobago is cheaper when compared to the other Caribbean countries. The proximity to other island nations is a huge point in favor of this country. The island of Trinidad is the commercial hub, whereas Tobago is a large residential zone with beach houses and sports clubs lining the city avenues. Trinidad is home to a horde of international schools which makes it easier for expats with young kids to settle. When looking for a house, one must make sure that the due documents and certificates are authentic and read through all the clauses before signing the contract. The transport network is well developed, consisting of a broad network of roads and highways. There are ferries across the major islands and a lot of waterways between the smaller ones. Both the major islands have international airports. Inter-island water taxis and ferries provide great transportation options. Trinidad also has a well defined and modern communications network. If you're looking to while away the time without falling into a strict routine, there is a lot to do in Trinidad and Tobago. For example, you can explore the forts that rest atop the hills and mountains. Fort King George provides a breathtaking view of the surrounding valley. Store Bay and Pigeon Point are two of the most popular beaches - complete with swaying coconut trees and white sand, they paint the perfect picture of the tropics. The Asa Wright Nature Centre hosts about 400 species of native birds. Every year about 10,000 leatherback turtles reach the country's shore to nest, making the beaches a popular hangout during that time. The country is famous worldwide for its annual Carnival. A variety of music forms including the parang soca, rapso, chutney, kaiso, and extempo find their origins on this island country. Limbo dancing also has its roots in this island, before it spread to the other islands in the Caribbean and subsequently around the world. The cuisine is also a delicious blend of the inhabitants' many distinct cultures. 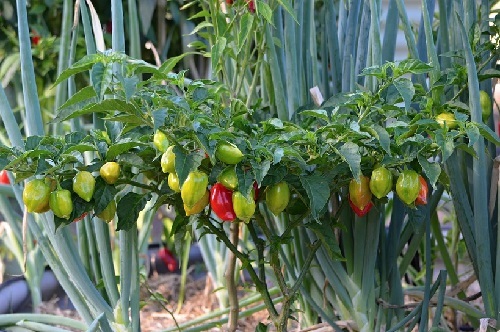 The hottest pepper in the world is the Trinidadian moruga "Scorpion". The Republic of Trinidad and Tobago is therefore an ideal location for retirees, despite its imperfections. The island gives residents a breathtaking view of the blue Caribbean waters. The modern infrastructure, blended with the Caribbean aesthetic, is a treat to the eyes. From playing the steelpan - the ingenious Trinidadian music instrument - to floating in the crystal blue waters of the sea or sunbathing on the beach, there are plenty of experiences to be had here. Add to this a robust economy with a strong GDP, and Trinidad and Tobago really is a retirement dream. So prepare to spend your days basking in the glory of the Caribbean sun while tapping to the tune of the rapso. 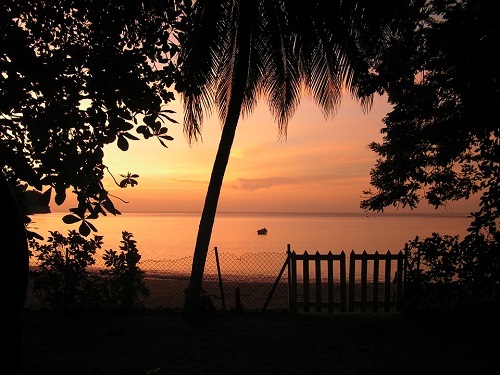 Pack your bags, buy your tickets and live the tropical dream in Trinidad and Tobago. Have you lived in Trinidad and Tobago? Share your experiences in the comments below, or answer the questions here to be featured in an interview.